The Yalu river (Known in Korean is Amnokgang) runs 790km along along the border of China and North Korea. In both Chinese and Korean its name means “duck green,” refers to the color of the river. 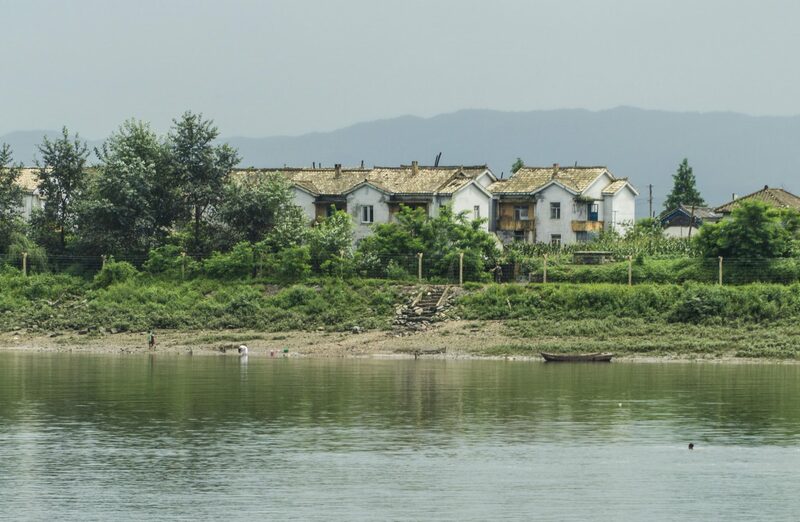 Visitors to the Yalu are often struck by the fact that China and North Korea are only a few meters from each other in some places along the river. In the early years of both the PRC and DPRK, North Korea was perhaps the most industrialized country in East Asia. This was owed in part to heavy industrialization by Japan during its occupation of Korea (1910-1945), as well as considerable Soviet investment after 1945. At that time, the North Korean side of the river was the more developed and it was common for ethnic Koreans living in China to return to North Korea for better living conditions. Since the 1970s, however, the Chinese side of the Yalu has seen tremendous growth. Today, the Chinese border city of Dandong is bustling with traffic and construction whereas the opposite North Korean city, Sinuiju, remains – shall we say – unspoiled by bourgeoisie and capitalist ideology. As we covered in our previous video, Dandong is a popular destination for tourists wanting a closer look at China’s enigmatic neighbour. Along the river near the Sino-Korean Friendship Bridge, there are a number of companies offering boat tours which will can bring you a little nearer to the North Korean side of the river where one can see details about the daily lives of Koreans. In this video, we decided to check out one of the Chinese-North Korea Boat Tours for ourselves and to take you along for the ride! YPT offers a Dandong City Tours as well as day tours into North Korea to explore the border city of Sinuiju!